Here at Butlerz, we wanted to understand how much free time you have and what you would do if you had more. So we decided to ask the people of Haslemere and others within the surrounding county of Surrey. What were the results of the survey? First, the bad news, 62% of respondents only have up to 1.5 hours of free time per day, worst yet, 9% have less than 15 minutes per day. 7% of respondents said they spend 5 hours or more a week, doing the laundry. 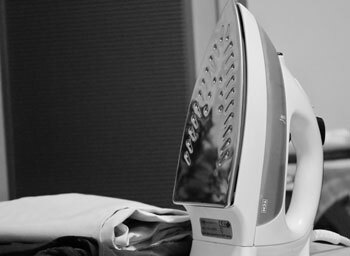 And, if that wasn’t enough, the dreaded ironing, takes up 2-10 hours per week for 25% of respondents. We were also surprised that 8% of respondents said they waste 2 to 10 hours per week taking or collecting items from the dry-cleaners, especially when we offer a free collection and delivery service. Butlerz are big fans of free time and we think you deserve more, so we did some maths based on the survey results. Taking into account that you can spend 5-10+ hours doing laundry, then 2-10 hours for the ironing and finally 2-10 hours taking/collecting items from the dry cleaners each week; adding it all up, there are 4 hours per day (for the busiest person) up for grabs. What would people do with all this free time? Shockingly, when asked what television show would you most like to be a contestant on, 12% of you said “The Chase”. Now, we are not judging anyone, but “Deal or no Deal” would be our choice; someone has to iron all of Noel’s shirts! If you want to get back up to 4 hours a day, contact us today to discuss how we can help with your laundry, ironing and dry cleaning (including collection and delivery).